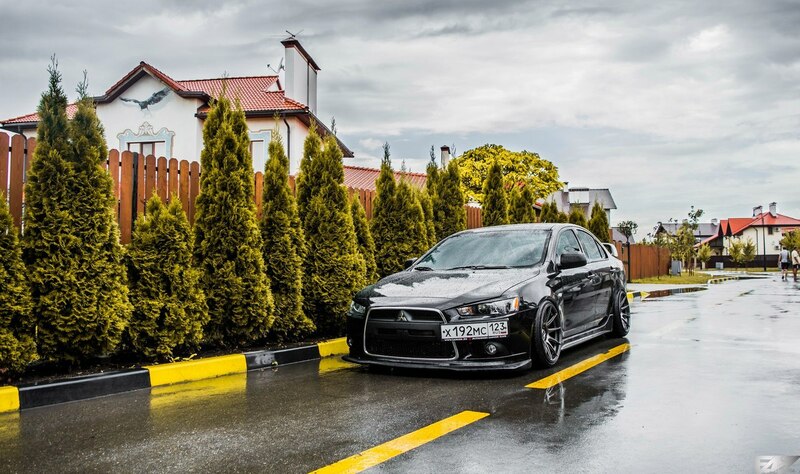 To any regular person, the word “evo” might associate with absolutely anything, but if you mention “evo” or “evolution” to the car enthusiasts like us, the first thing that will come up in mind is the one and only Mitsubishi Lancer Evolution. Mitsubishi has been making this car for a very long time, and with every generation, it gets more and more fierce. The Evo is a genuine sports sedan. It’s got the wheelbase, and it’s got the proper looks. However, don’t forget that it is also a daily driver. Despite having an aggressive general shape, Mitsubishi Evo is a street car in a nutshell, and on the driver part, this model has always been a full-immersion vehicle, which basically allows them to drown in its mechanical frenzy. The impressions about the factory look of this car are often dubious; some really like it while the others don’t. However, as the owner of this particular auto has proved, with some minor modifications, an average Evo can turn into a real animal on the street. Very often, the drivers tend to buy older second-hand jalopies to transform them into a powerful, good-looking ride, but the story of this Mitsubishi is different. The new owner purchased this auto in 2013 directly from Mitsubishi Motors Salon, and after 63 thousand km of mileage with no complaints, he had decided that the time for change has come. 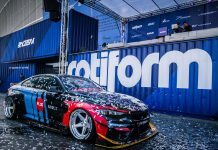 The car was transformed into a marvelous stance project, and the enthusiastic owner feels proud of the stunning appearance of his Mitsubishi. If you had ever tried modifying a car, you’d probably agree that it is very tempting to add power first. Yet, the keeper of this Evo really wanted to push it harder, and he has done a truly fantastic job. A lot has been done to this auto, and the modifications in this Evo make the car stick even more than it did when it was stock. First thing upgraded by the owner was a suspension. The BC Racing coilovers and custom rear springs with improved spring rates, the XXR 527 9.75 et 20 R18 wheels, and Triangle tr968 215/35 R18 tires have significantly boosted an overall car performance. 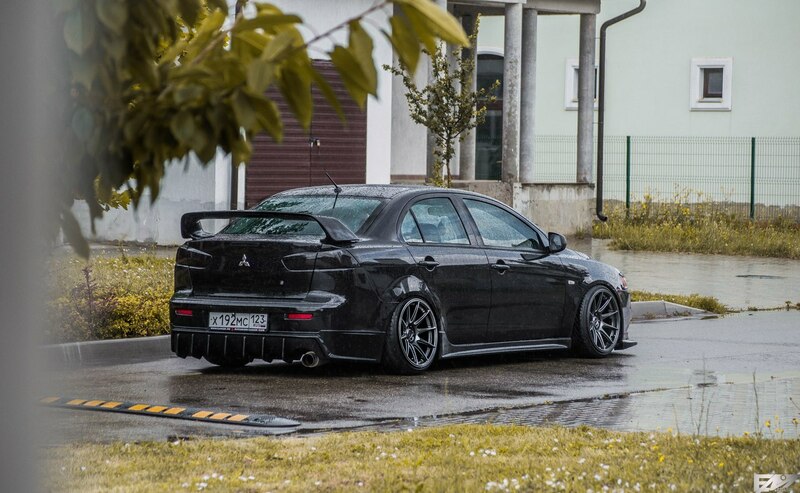 Evo X spoiler is a classic accessory, and we wouldn’t even try imagining stanced Mitsubishi without it. 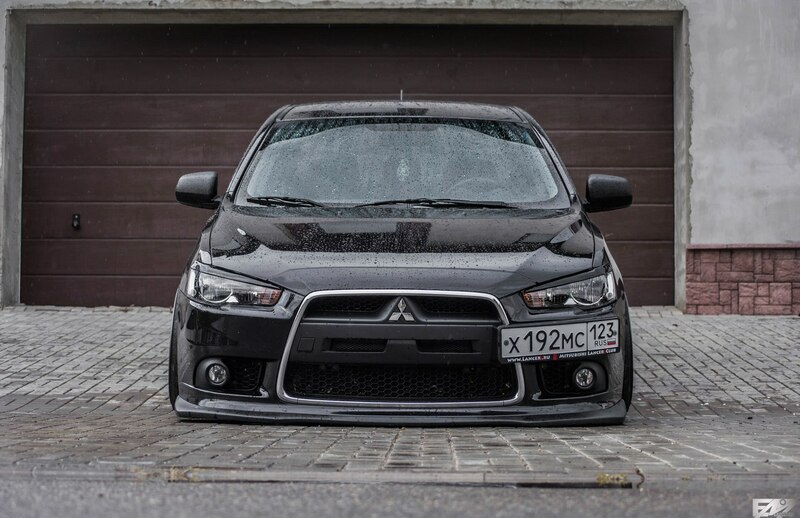 The other swanky parts are the custom grills with the true-to-type Evo X nostrils and HKS tailpipe. 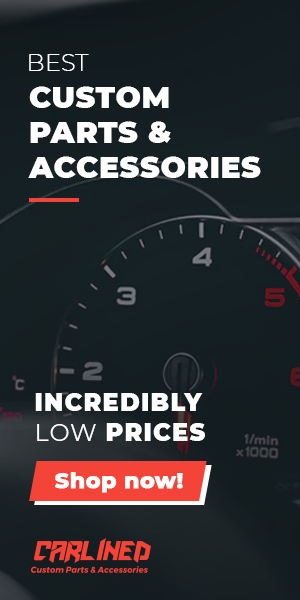 Finally, you’ll realize that small things matter after you take a look at the license plate podium and front headlights lashes, and the tail lights toned black. 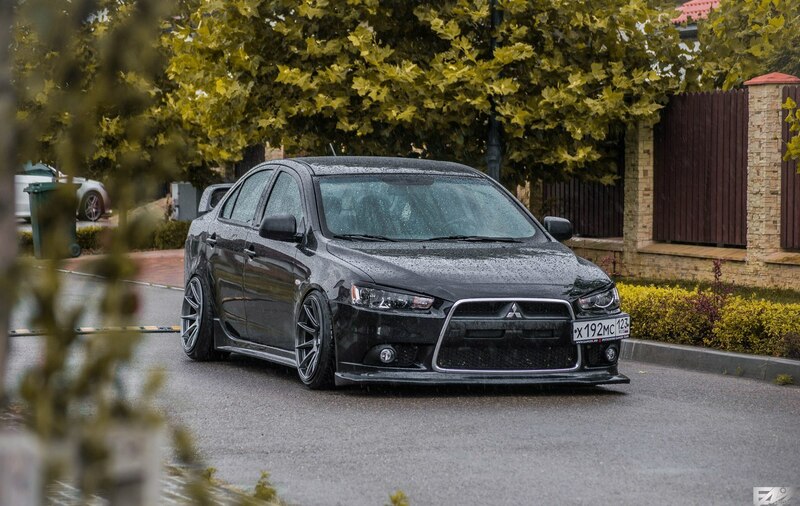 In spite of everything that has already been done to this Mitsubishi Lancer, things are not over. Leastways, the owner is planning to upgrade the hood and replace headlights.